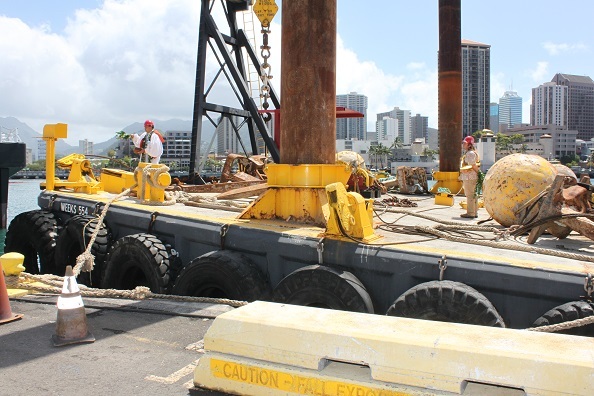 HONOLULU – The state Department of Transportation (HDOT), Harbors Division, launched the Piers 12 and 15 Improvements Project at Honolulu Harbor with a groundbreaking ceremony earlier today. This project involves the relocation of the Clean Islands Council (CIC) and Marine Spill Response Corporation (MSRC) vessels from Pier 35 to Piers 12 and 15 which will consolidate marine emergency response efforts during oil spills. Other improvements include a new electrical system, waterlines, dock fenders and mooring bollards along with upgraded lighting, roofing, fencing, and pavement. The estimated construction cost is $10 million, 100-percent of which will be provided by state funds. Work is anticipated to be completed by May of 2016. This project is part of a series of projects that will transform the former Kapalama Military Reservation into an overseas container terminal which will be known as the Kapalama Container Terminal. The new terminal will consist of a new container facility and berthing capacity for two container ships. Increasing Honolulu Harbor’s container terminal capacity away from the main Sand Island terminals will promote efficiency. 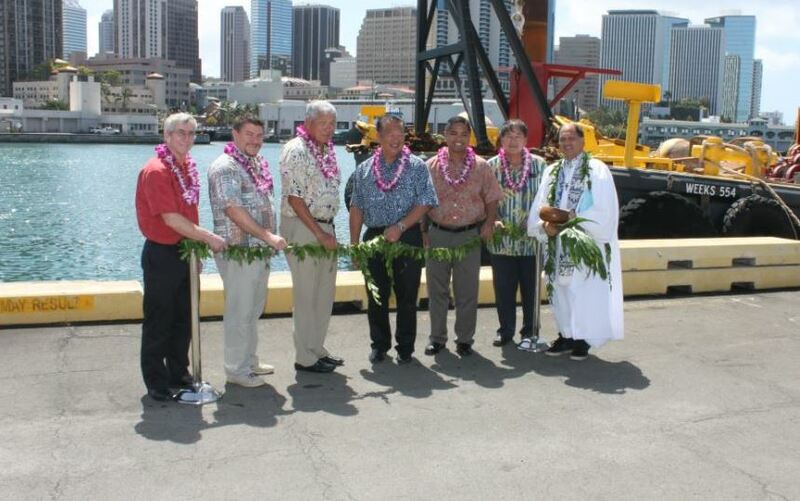 Kahu Kordell Kekoa blesses the construction boat that will be used for the improvements of Piers 12 and 15.